Ascari Cars Ltd. is a British automobile manufacturer based in Banbury, United Kingdom founded by Dutch millionaire Klaas Zwart. The company was named after Alberto Ascari (1918ñ1955) who was the first double world Formula One champion. Besides manufacturing cars, Ascari also manages a racetrack, Race Resort Ascari. Their first offering, the beautiful Ascari FGT, was styled by Lee Noble in the early 1990s but the project took some time to come to fruition. The first concept car was not unveiled until 1995. Seventeen road going cars were built, although many of these are believed to have been destroyed. One works racing car was constructed for Klaas Zwart to contest the British GT Championship. This is that car. Zwart entered the car with much success in the 1995 season, winning at Silverstone, and coming 5th in the Le Mans 4 hour race. 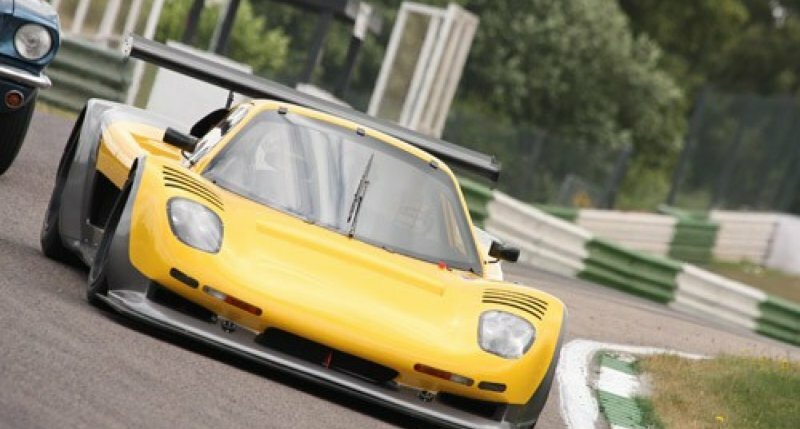 The car was further contested in the 1996 and 1997 British GT Championship seasons, after which it was returned to the Ascari factory, where it was stored until 2009. Having been awoken from its slumber, this stunning and unique race car underwent a “nut and bolt” rebuild to a very high standard, being returned to final 1997 season specification. All work was completed by an ex-Ascari team mechanic. This highly original example is described as being in excellent condition, and comes with a generous spares package which includes front bodywork and various suspension and steering components. Verified as the original and only works racing FGT by the Ascari factory, this unique example presents an unrepeatable opportunity to buy a genuine 1990s GT1 contender with fantastic provenance.